Lead out cable for mains electric fence systems. 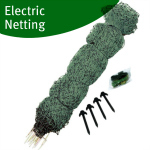 Lead out is double insulated cable designed for use with electric fence systems. 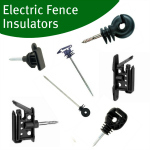 Electricians cable is not designed for electric fencing so will not work effectively. 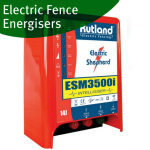 In mains systems lead is used to transfer the current from the electric fence energiser to the fence. Also a small length is used to connect the fence energiser to the earth stake. 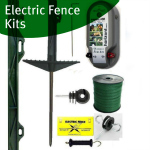 Mains electric fence energisers are not provided with fence and earth leads as lead out cable is used instead. Lead out cable is available in 25, 50m and 100m rolls. 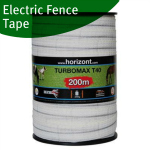 Electric fence lead out cable can be further protected by putting it through water whilst underground. This guards it from damage and also makes any maintenance or removal easy.